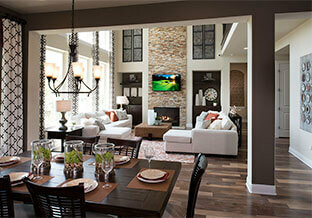 Explore what it means to live the life you create when you purchase this new construction home by Highland Homes. Travisso’s master-planned community offers first-class vistas, elegant thoughtful designs within a custom curated neighborhood, rolling hills, and picturesque views of the Texas Hill Country. Our country-atmosphere location is the best of both worlds–close to Austin but far away from the hustle and bustle of city life not to mention the traffic. Just 40 minutes to Marble Falls–a gateway to weekend fun in the sun, wine exploration, and much more! For additional information about this home call Highland Homes at 512-267-4100.